Every once in a while, I come across a book, comic, show, or movie that I just can’t properly explain. The series premiere of Happy! on Syfy was one of those things. The first issue of The Boys by Garth Ennis and Darick Robertson was another… I see a trend there. 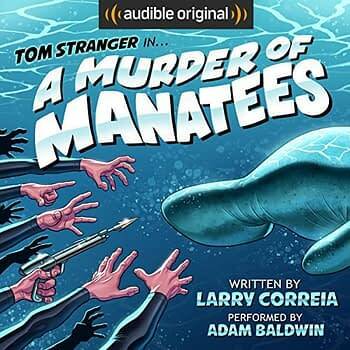 Recently I got to listen to the audible.com version of A Murder of Manatees, the second book in the Tom Stranger, Interdimensional Insurance Agent series by Larry Correia — and this definitely falls into that category. The book is read by Adam Baldwin (Firefly), as was the first in the series, and he is mentioned in the series as well… so is the author. It’s just one of those kinds of stories. The idea is that Tom Stranger works for the Stranger & Stranger Insurance agencies that protects people, groups, planets, and maniacal despots against things like being sucked into a black hole, alien invasion, or a variety of other disasters. The book starts with Tom, Jimmy the Intern, Correia, and Wendell the Manatee addressing negative reviews of the first book and how they may have offended dolphins with some insensitive word choices. While leaving the press conference, Wendell, the accountant for a maniacal despot and world destroyer, is abducted. And since Stranger & Stranger has a policy on Wendell, it becomes Tom’s job to find him. The book is funny, irreverent science fiction that would be at home in an issue of Heavy Metal. I spent half the time in disbelief of what was just said and the other half anxiously waiting to see what would happen next. Baldwin does an excellent job with the narration, playing the deadpan Tom and the dim-witted Jimmy with perfect comedic timing. The book is a fun, quick listen, clocking in at just over two hours. 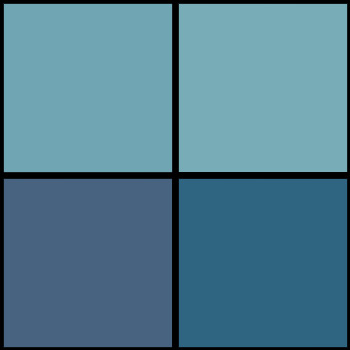 Making it perfect for sitting in rush hour traffic. You can find the book on Audible starting today.